A step ahead than text messages, WhatsApp is now widely used to share videos whether they are self-shot or from the internet. 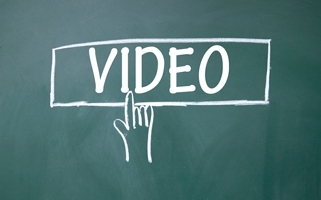 Exchanging funny, romantic, viral and animation videos have become a part of daily life. Instead of sharing someone other’s video, now you can also share totally fresh videos with the help of an amazing app. 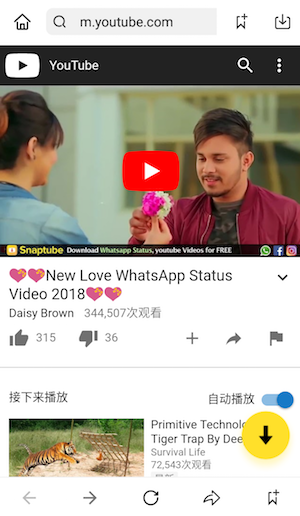 Here you will get complete information regarding where to find tons of new WhatsApp video for free. Snaptube is capable of providing your videos up to 4k resolution as a free user. Apart from that, a new section called “WhatsApp Video” has also been introduced for the users who want to keep their WhatsApp profile up to date with the latest videos. has a user-friendly interface that can be easily accessible to first time user. One can consider it as a search engine especially dedicated to watching and downloading online videos from any website. 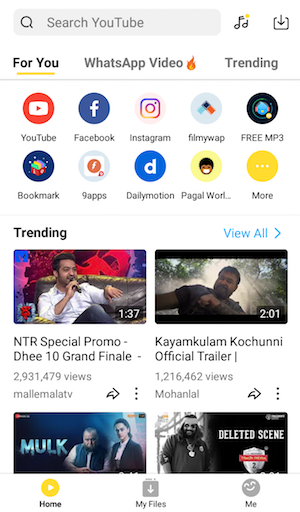 As it is mentioned above that Snaptube is not available on play store, thus you need to explore it from the World Wide Web. The complete procedure of using it is mentioned below in detail. Download Snaptube on your Android phone. It is a small application that just requires 1 or 2 minutes to download. Now explore the destination where it is stored and tap on it to start installation. While installing, it will ask permission for allowing the third party apps to install. Go to the settings and allow it because Snaptube is completely free from any adware and malware. Once it is installed, tap on the app to open it. The interface will be identical to a typical browser where search bar will be given on the top followed by bookmarks below. Now you will be able to use the features like channels and recommendations as per your search criteria. 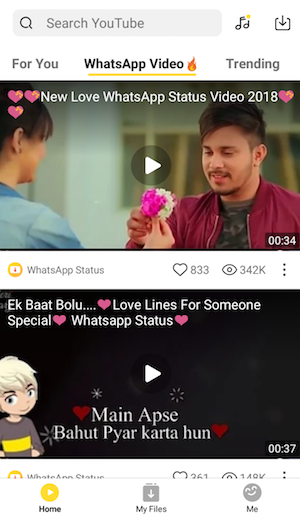 Open the “WhatsApp Video” section of directly search the video of your choice from search bar. If you know any streaming site, either the URL of that site in the same search bar. For your convenience, some popular video streaming sites are already mentioned in bookmarks that can be customised as per your preference. Search your video through any medium as mentioned above and play it like any other video streaming app with playback functions. If you what to watch it offline or share on WhatsApp, tap on the “Download” button mentioned below every video. Now choose the resolution that you want from 3gp to 4k. Wait for the completion of downloading process, then directly share it through Snaptube.